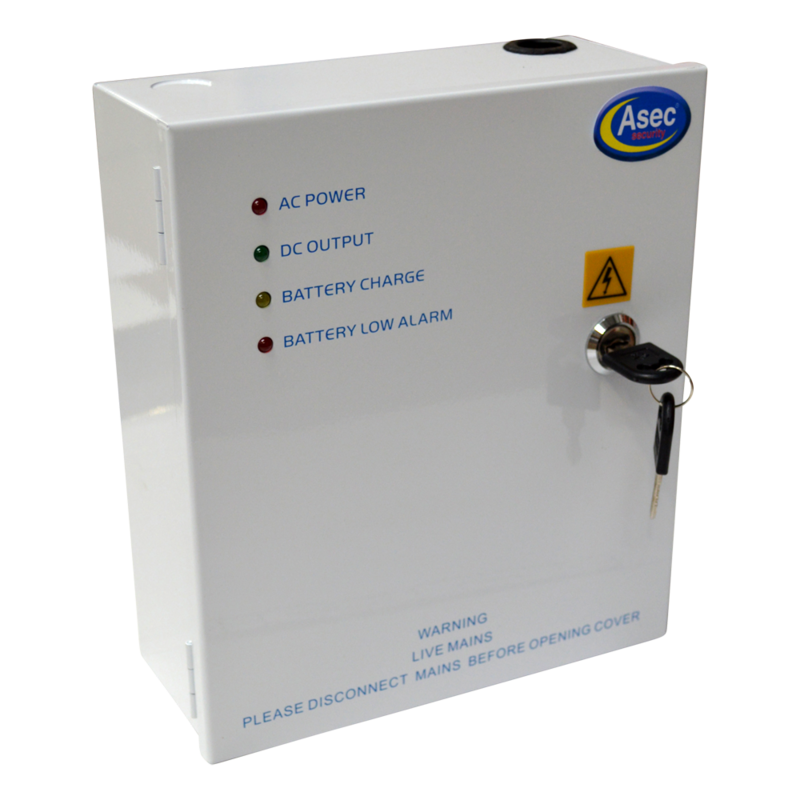 This boxed power supply from Asec has a powder coated steel construction and 13.8VDC regulated output with deep discharge protection and integral battery charging facility. 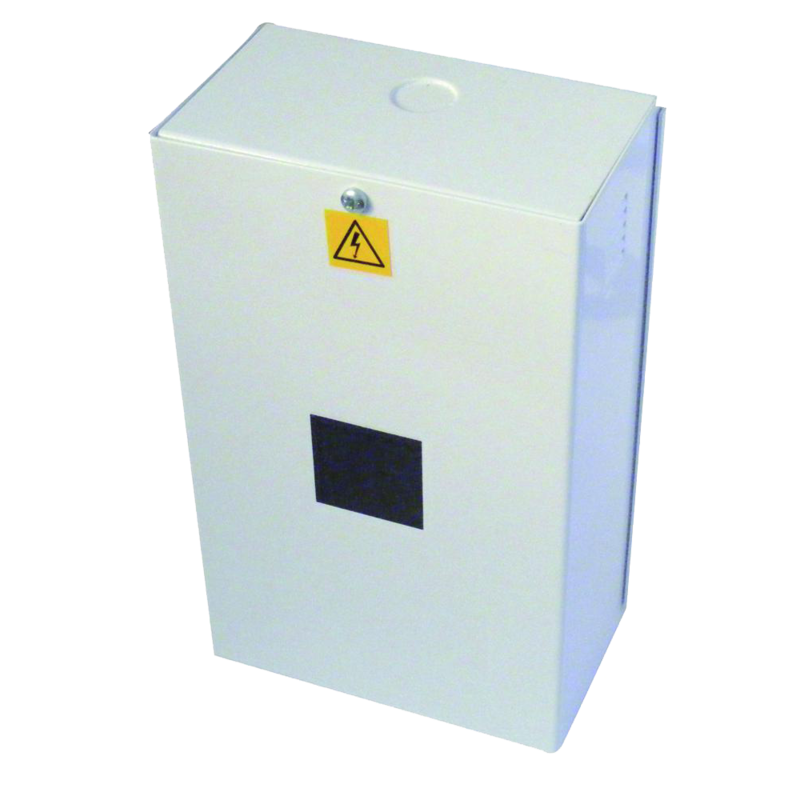 24V DC 2 amp boxed Power supply ideal for multiple access control applications. 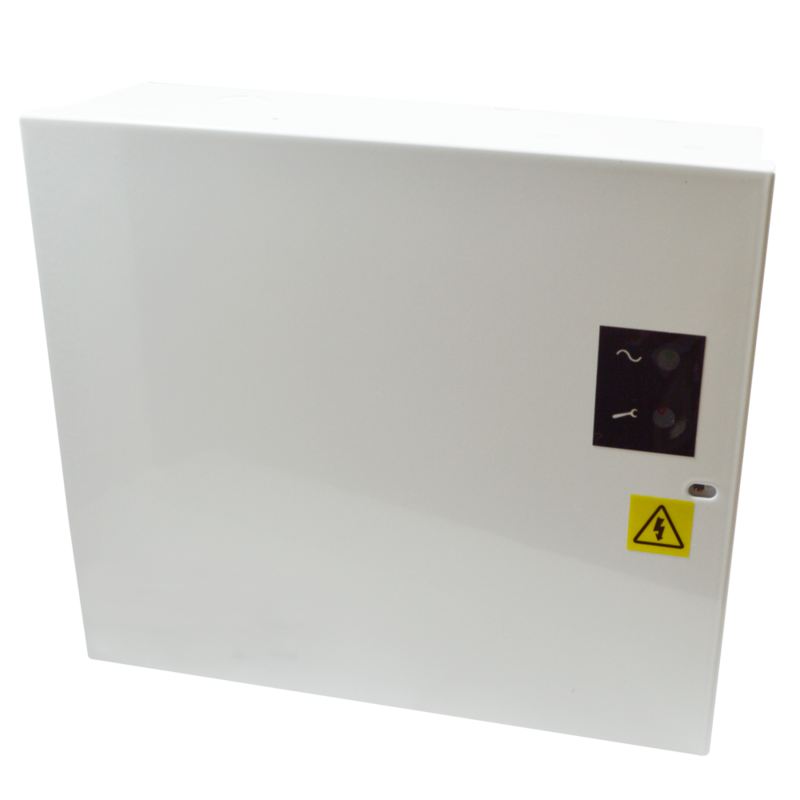 This metal boxed power supply from Asec is available in a range of voltages and amperages. They include an integral battery charging facility and have a smoothed regulated DC output. 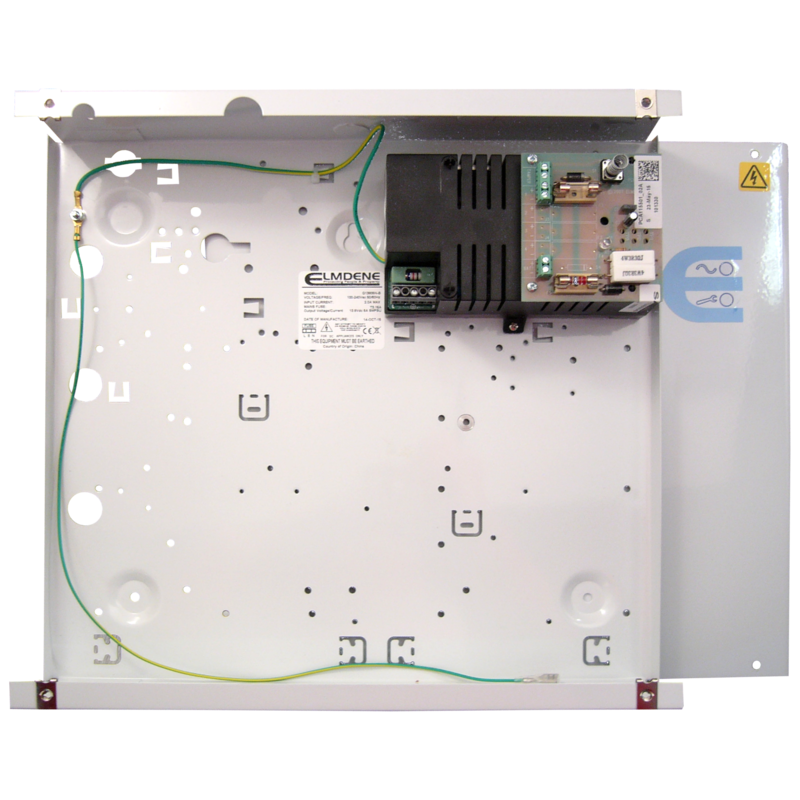 This range has been designed by Elmdene to house most common access control door controllers including Paxton and ACT. 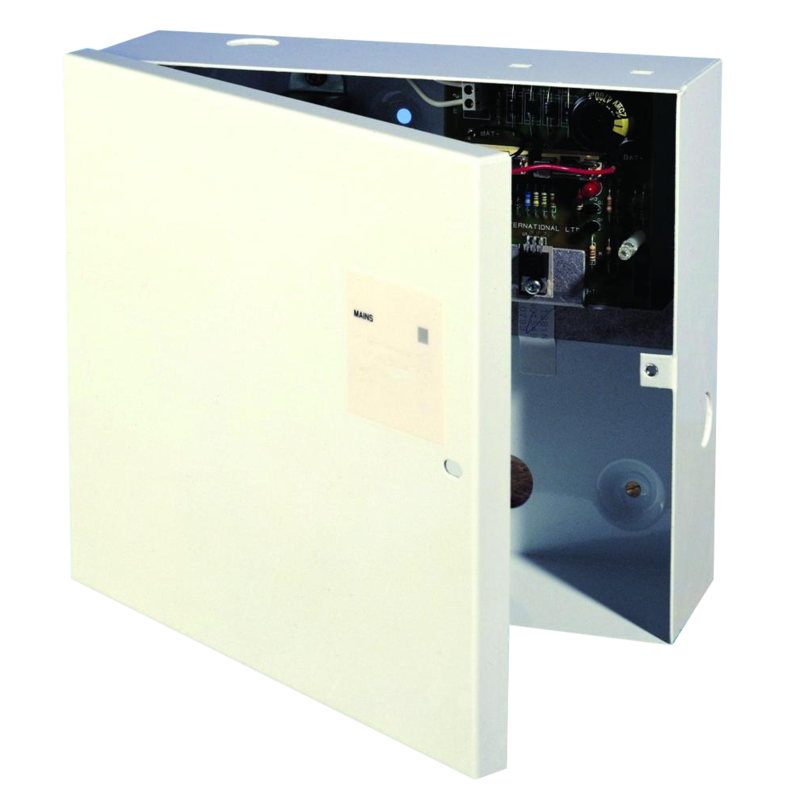 With different power options and enclosure sizes, this PSU is suitable for a variety of applications. 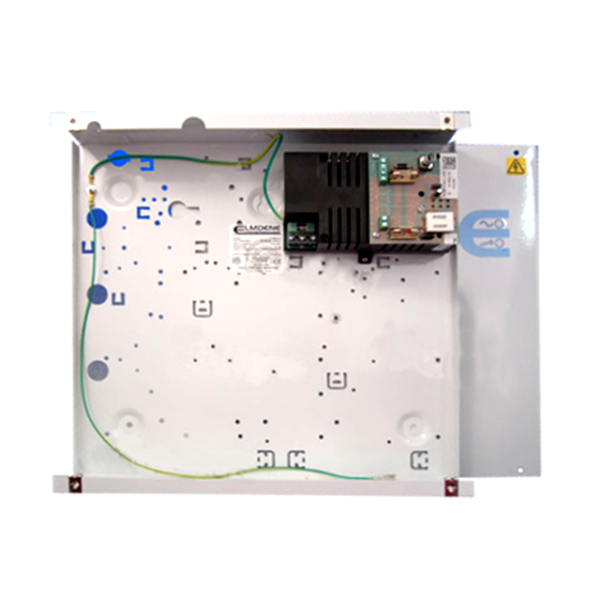 All models offer fault signalling and can charge a 12V standby battery (sold separately) to provide backup power on a mains failure. Multi-fused outputs are provided to allow the installer to protect individual circuits as required. 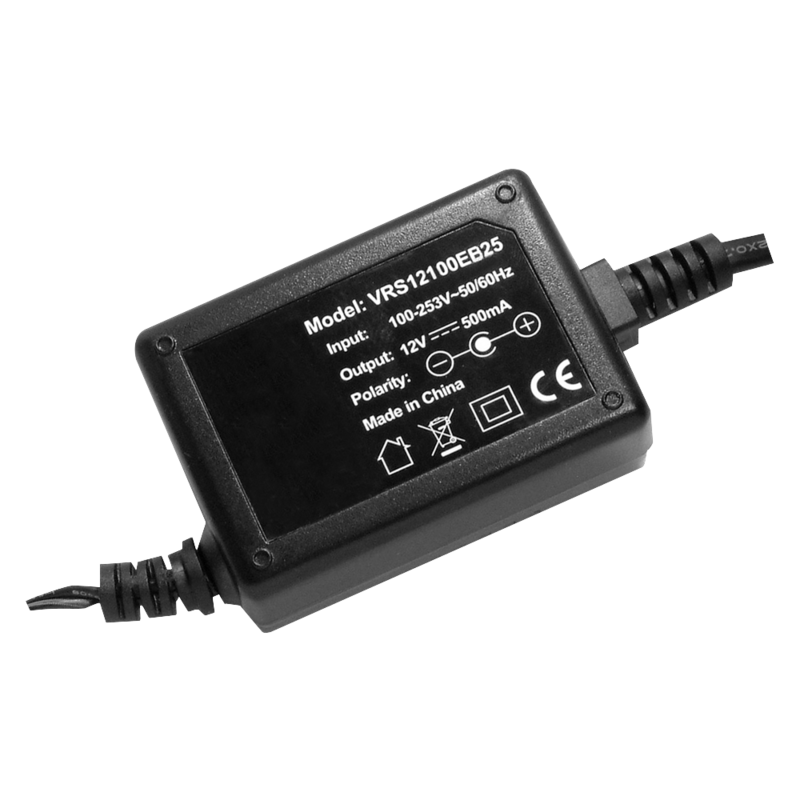 All models possess a mains fail relay output, plus additional Battery Monitoring and Deep Discharge Protection features. The 12V DC G Range of N Series power supplies from Elmdene has been designed for use in CCTV, access control and general purpose applications that require the use of a standby battery. They use energy efficient switch mode technology and have a universal mains supply input (90—264V AC). Elmdene’s FOM4 or FOM8 units can be fitted to give 4 or 8 independent fused outputs if required. The modular range includes several power variants with full rated current to load and also feature a fully regulated output with low ripple and noise. This particular model is boxed with a hinged lid. The 12V DC G Range of N Series power supplies from Elmdene has been designed for use in CCTV, access control and general purpose applications that require the use of a standby battery. They use energy efficient switch mode technology and have a universal mains supply input (90—264V AC). 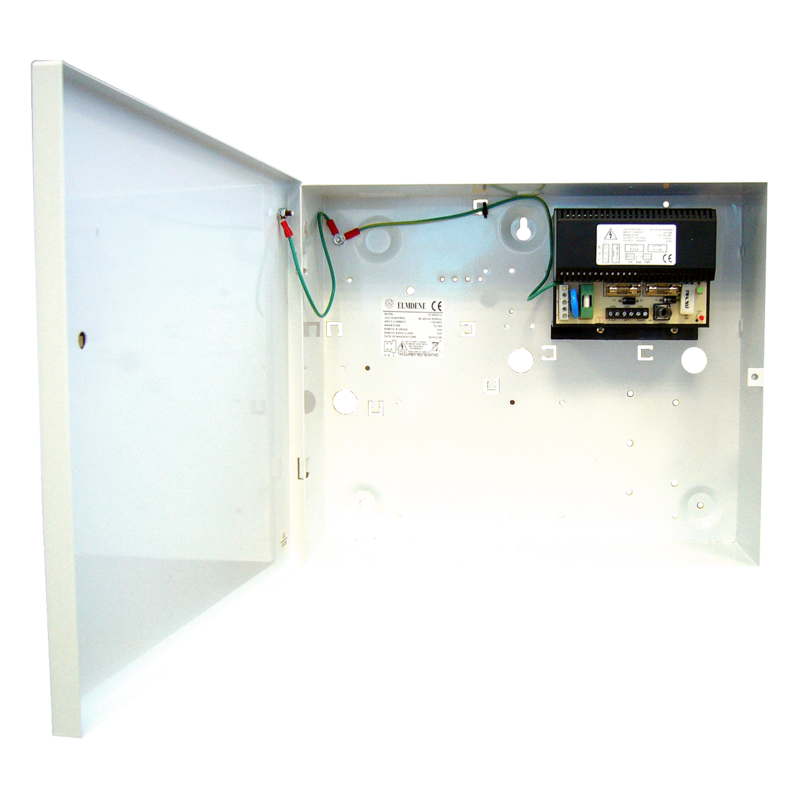 Elmdene’s FOM4 or FOM8 units can be fitted to give 4 or 8 independent fused outputs if required. The modular range includes several power variants with full rated current to load and also feature a fully regulated output with low ripple and noise. This particular model is boxed with a clam lid. The 12V DC G Range of N Series power supplies from Elmdene has been designed for use in CCTV, access control and general purpose applications that require the use of a standby battery. 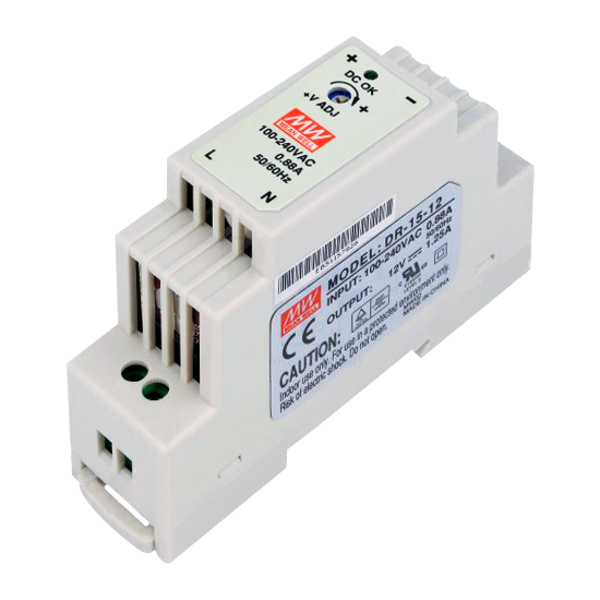 They use energy efficient switch mode technology and have a universal mains supply input (90—264V AC). 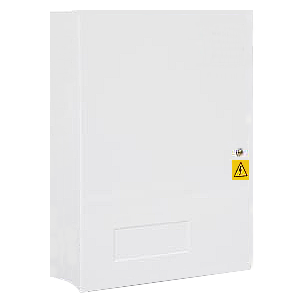 Elmdene’s FOM4 or FOM8 units can be fitted to give 4 or 8 independent fused outputs if required. The modular range includes several power variants with full rated current to load and also feature a fully regulated putput with low ripple and noise.